These images were taken at ceremonies conducted in December of 2012 and 2013. It may take another two or three years to capture all of this cultural event. 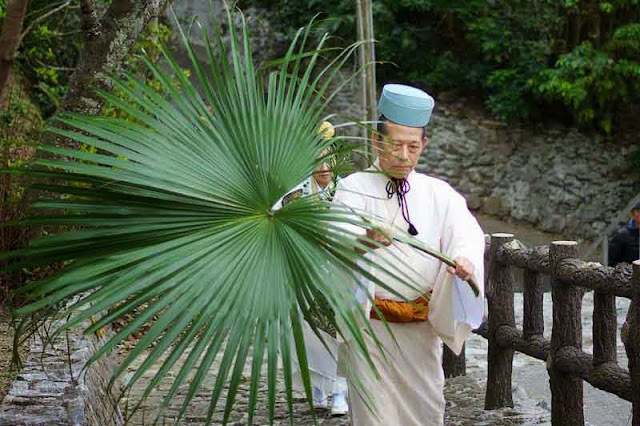 Reviving some of the history and traditions of the Ryukyu Islands is challenging work. 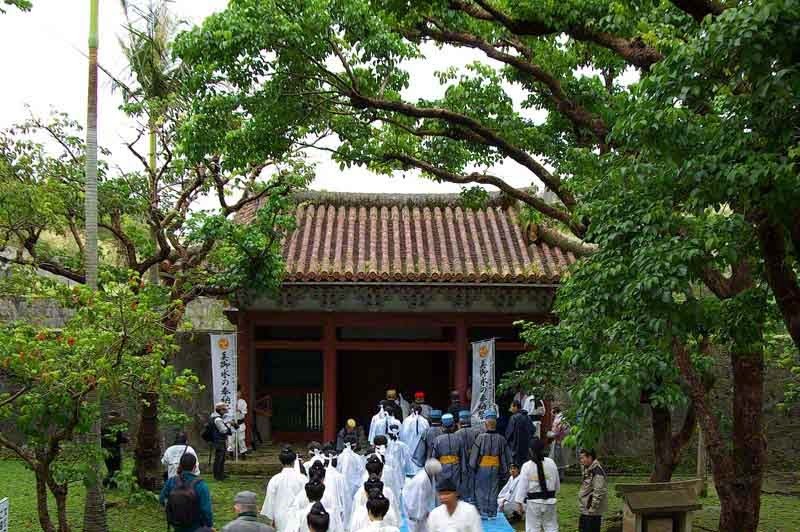 Most of the documentation was lost or, destroyed prior to and, during the Battle of Okinawa. 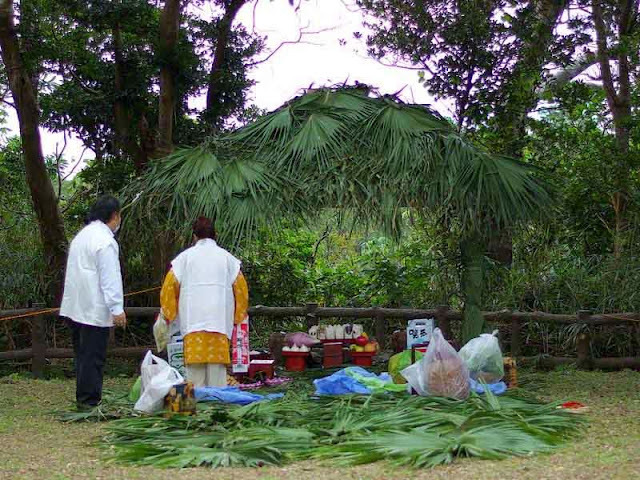 A group, the Shuri Tonokura Community Association, has revived of this tradition. 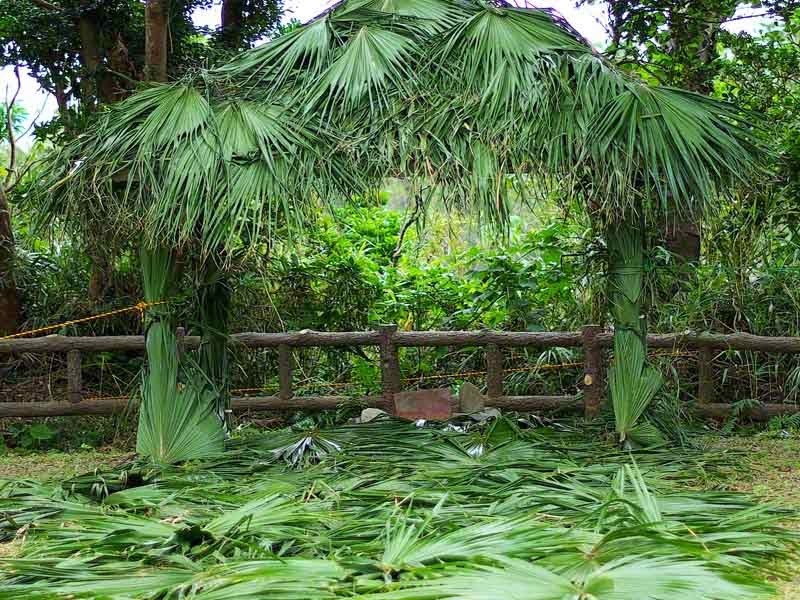 This is the sacred hut (asagi) in Hedo where rituals begin. Arriving in the village, the day before the event, was a good idea. It gave me the chance to learn how to build the covered roof from kuba leaves. And, by the end of the day, I was no stranger in town. Early the next afternoon, preparations for worship began. A procession climbs the hill to the house of worship. Some of their costumes represent royalty. 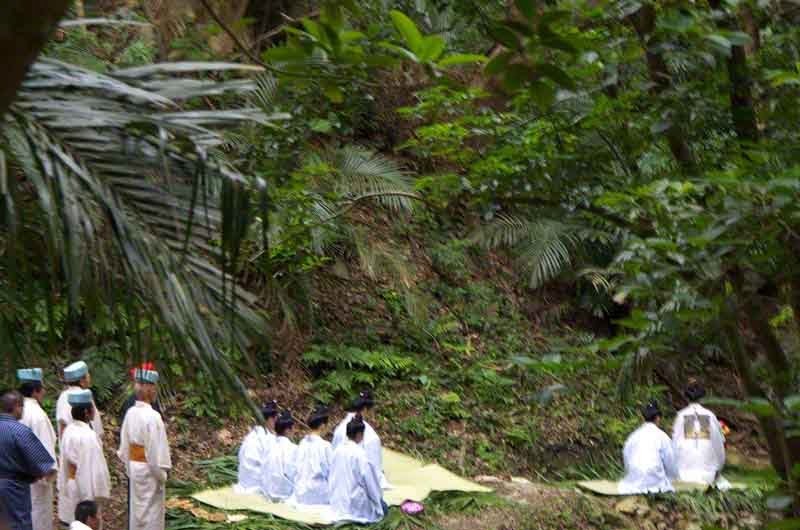 The women in white are priestesses or, noros (local dialect). 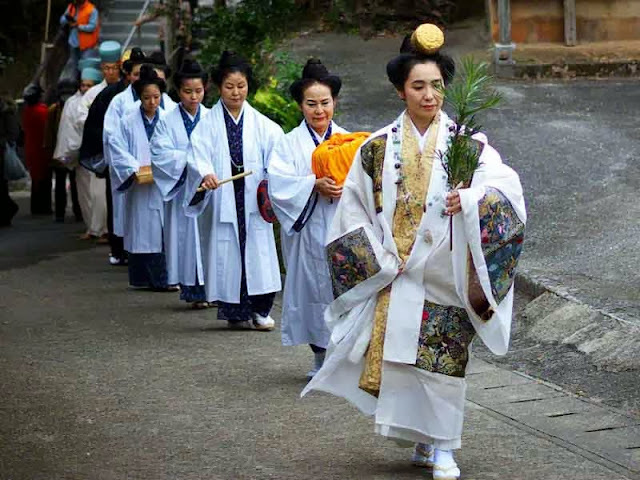 To be determined: Whether this woman was a high priestess or, royalty. She certainly, was the center of attention, at all the ceremonies. 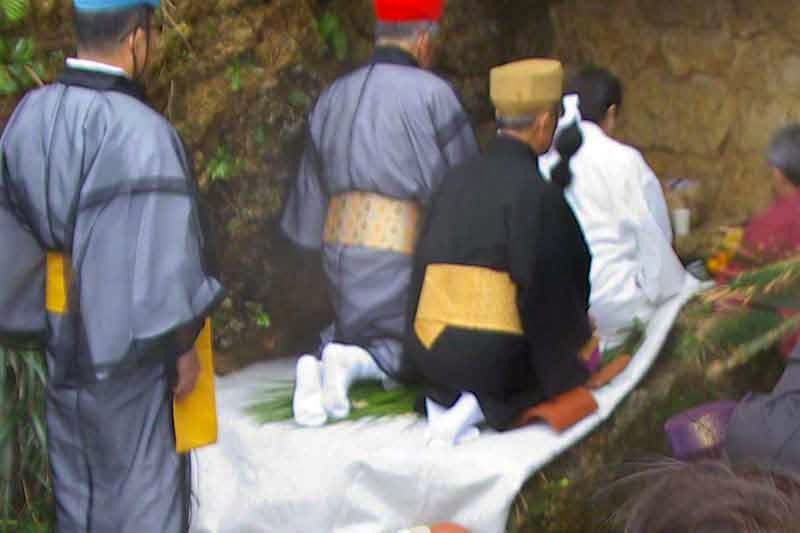 Prayers and offerings are made at the asagi, before proceeding to draw the first water. The well, called Ookawa, is reached by taking a long, winding trail down the mountain. Water, drawn from here, is placed in clay jugs and taken to Shuri. 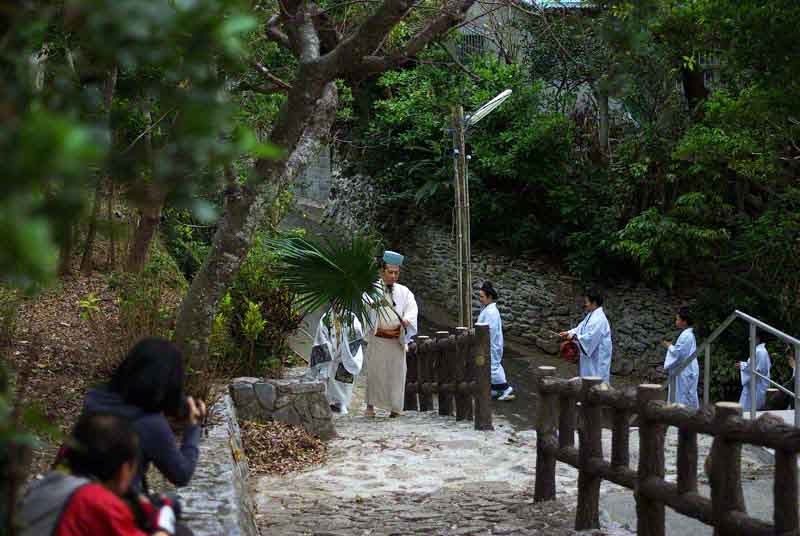 A week later, in Urasoe, Okinawa this well (Takushi Hiija) is visited. 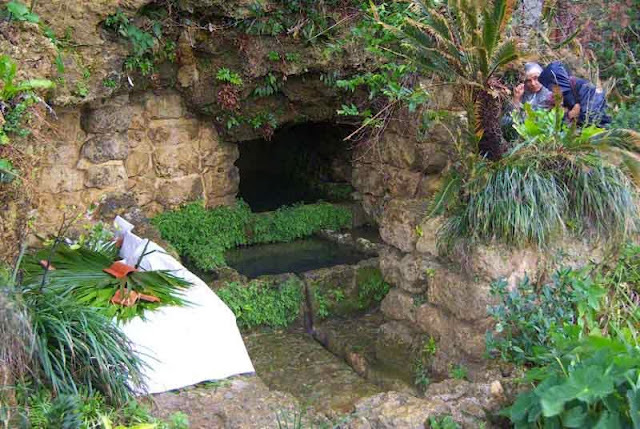 Prayers and offerings are made before drawing the water from this well, too. At a shrine named Enkaku-ji, just outside Shuri Castle, the water from both wells is mixed. From there, the procession heads towards the castle. 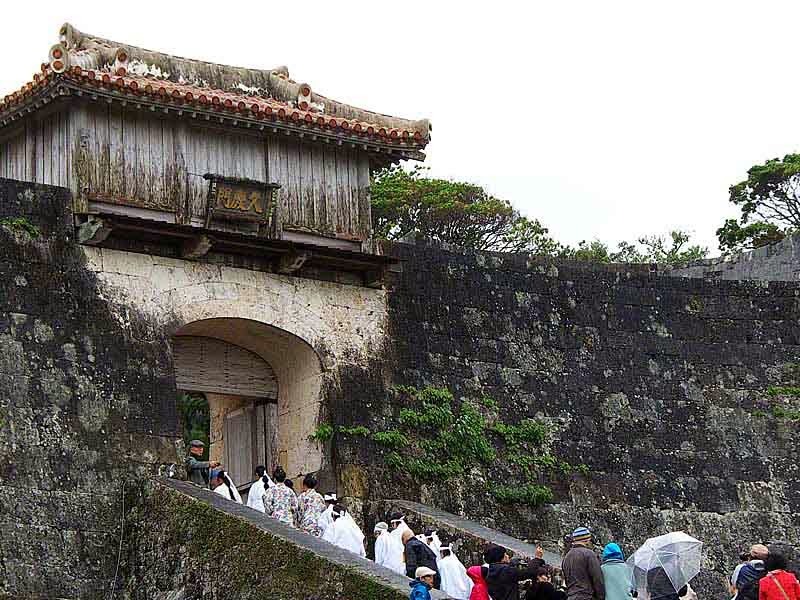 The castle is entered through the gate named, Kyukeimon. 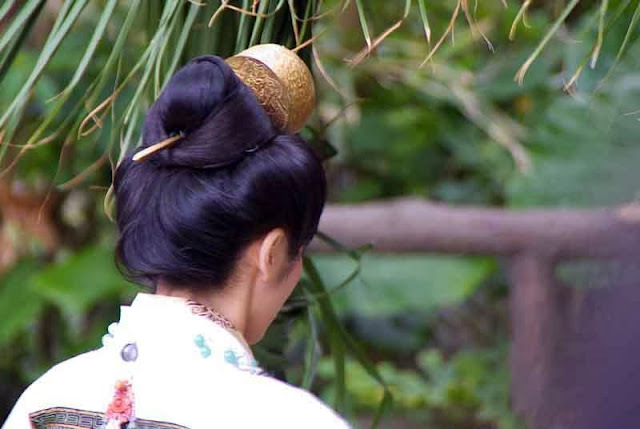 Here, the sacred water is presented to a woman of royalty with best wishes for the New Year. That's the part of Wakamizu my cameras haven't captured, yet. But, we're working on it. 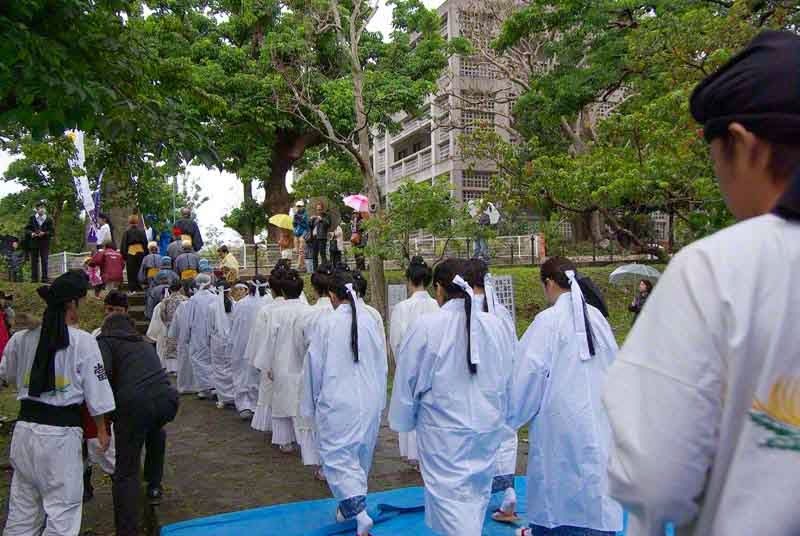 Thanks to the Ryukyu Shimpo, I got this video you can watch, though.